Based in London and Swindon, ACA Acoustics provide a full-service acoustic consultancy including noise assessments, surveys, planning and testing, covering both commercial and residential sectors. 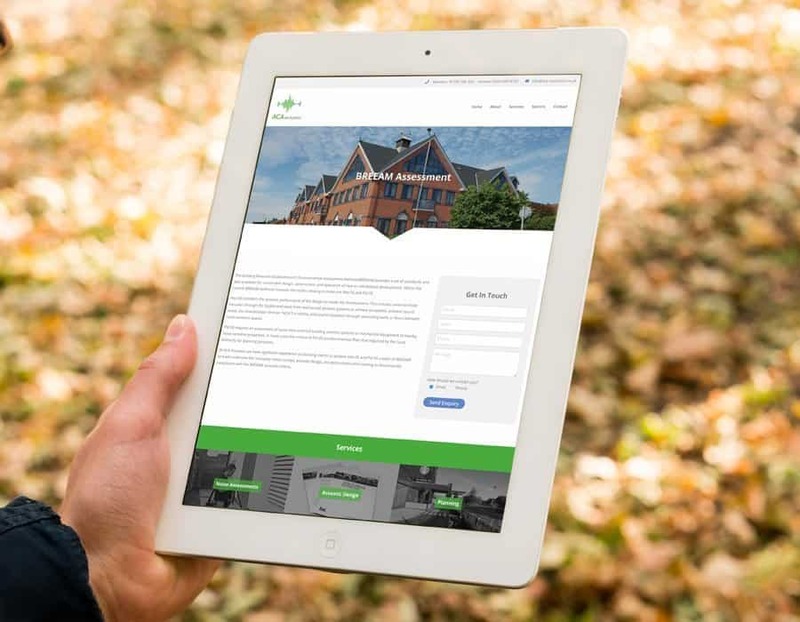 With a growing range of services and clients, they needed an engaging and redesigned website that highlighted their dedication to both. Set up in 2012, ACA Acoustics have drawn on their experience and expertise to give their clients the high-quality technical advice they need when it comes to noise levels. From testing and assessing on existing commercial and residential buildings to working with architects, planners, and developers to provide acoustic assessments on new residential developments. With such a range of services available and their ongoing success as a growing business, ACA Acoustics now operates across the whole of the South of England. 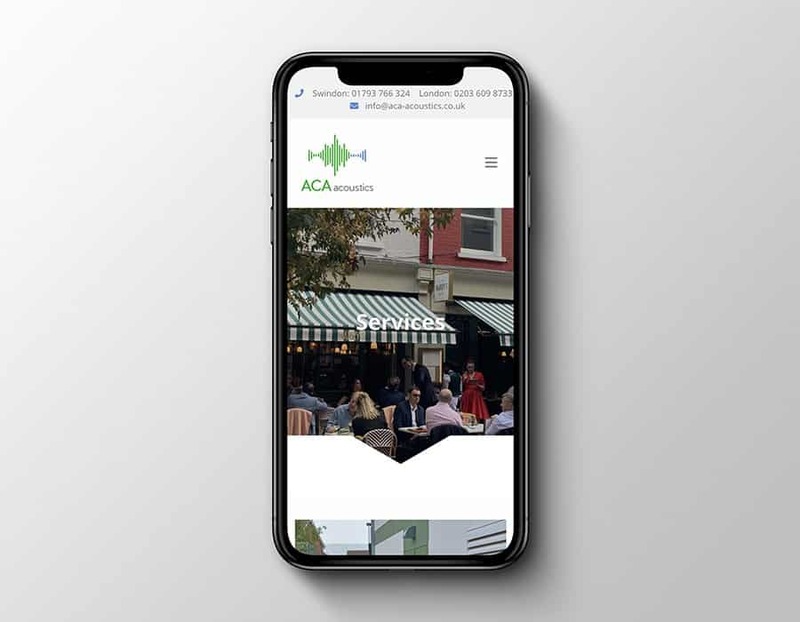 To display their services to potential clients in the best way, ACA Acoustics needed to give their website a whole new look and feel with a complete redesign. A full redesign to include simple navigation, clear calls to action, and smartphone and tablet responsiveness. 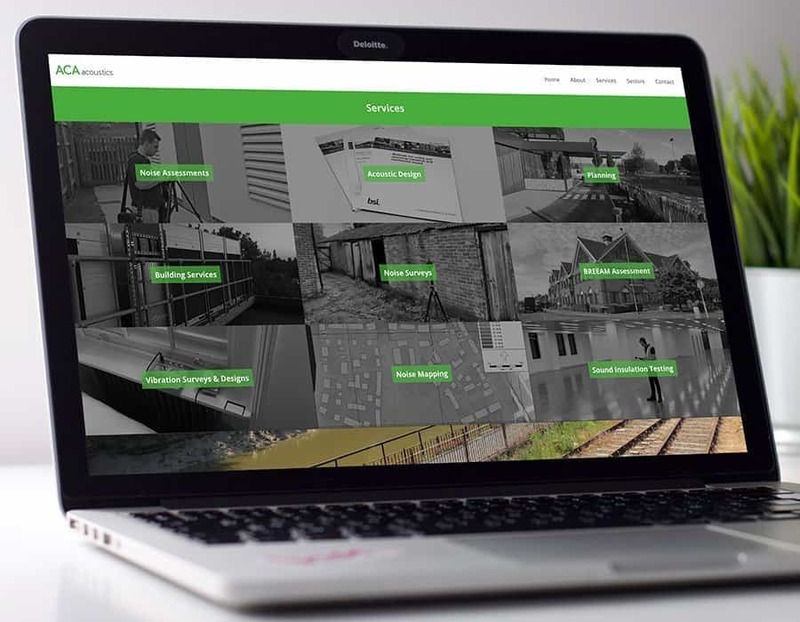 Ensuring clarity for the user was the main principle behind the redesign of the ACA Acoustics website while keeping it functional and easy to use. WordPress, the chosen platform for our web design team on all our websites, gave us the perfect canvas to create a site that accomplished all that and more. With photography supplied by the client, we incorporated large images on each page and also used parallax scrolling for a more dynamic effect on the Home, About and Contact pages. Adding clear contact forms on each page, together with contact details at the head and foot of each page makes it quick and easy for clients to get in touch. By also giving ACA Acoustics full admin access, they can now add or update any relevant page information themselves, as well as adding images and customer testimonials, whenever they want. Collectively, the site gives them a functional and easy to use website that looks great and gives potential clients the clear information they need. For website design, development, and SEO that keeps your business relevant and reflects your brand and services effectively, call us today on 01626 245061 or email us at hello@prioritypixels.co.uk to find out more.